According to Chally Group, 39% of B2B buyers select a vendor according to the skills of the salesperson, rather than price, quality or service features. 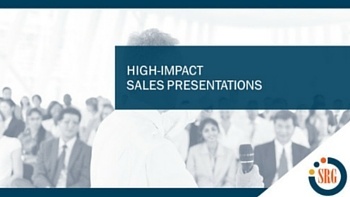 High-impact presentations can significantly improve the impression a salesperson leaves with a customer. A presentation needs to be more than targeted to the customer’s needs – it must be conducted in a manner that is both engaging and attentive to the customer’s reactions. In this webinar we share best practices and strategies for planning and delivering powerful sales presentations.